Father Abraham: Camels or Marlboro ? By now many of you will have seen the headlines about how the Bible is full of errors because archaeologists, using radiocarbon dating, have demonstrated that camels were not domesticated until the 10th century. 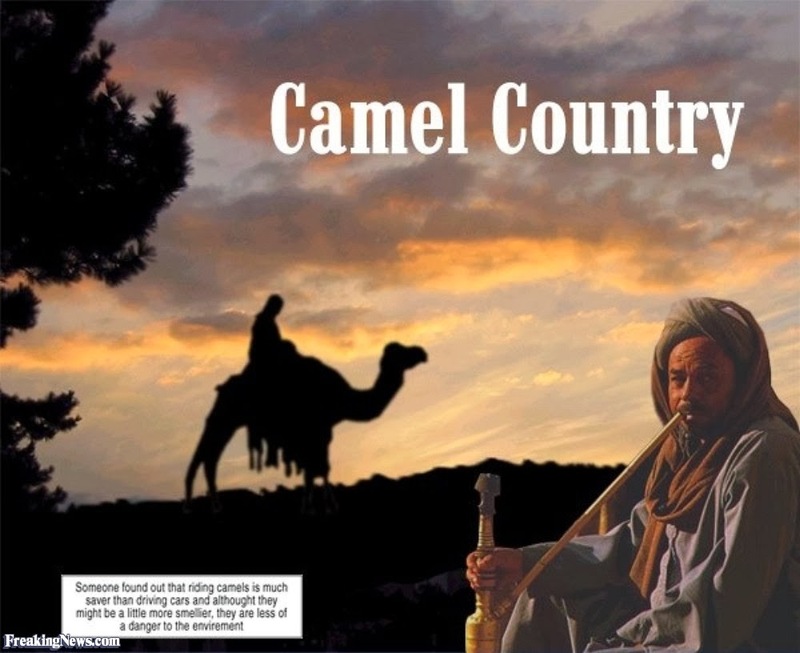 This discovery, they claim, demonstrates that the Bible is full of errors since the stories of Israel’s patriarchs include camels as part of the narrative (Gen 24: 61-64) and the stories of the patriarchs take place many centuries before. I didn't give the story much thought when the headlines first appeared last week for the simple reason that this is very old news. Biblical scholars have long recognized that the stories in Genesis contain anachronisms, and camels are just one of them. For instance, Gen 21:34 states that “Abraham stayed in the land of the Philistines.” However, there is no mention of the Philistines as a people group in any written sources nor is there any archaeological evidence for them in Canaan until several centuries after the time of Abraham. Similarly, when Lot is kidnapped by some local kings we read in Gen 14:14 that Abraham pursued them as far as Dan, which is in the north of Canaan/Israel. The problem, however, is that the city of “Dan,” at least according to biblical chronology, doesn't yet exist since it was named after Jacob’s son “Dan,” who will not be born until much later in Genesis. Furthermore, according to biblical chronology, the city of Dan was not established until the time of the Judges when the tribe of Dan moved north (Judges 18). Thus while archaeology has demonstrated that a city existed there during the time of Abraham, it wasn't called Dan. Both of these examples demonstrate that Genesis contains anachronistic details which are, in my opinion, more significant than whether or not Abraham had a pet camel or not. But does this mean that the Bible is full of errors? Yes and no. It all depends on one’s starting point. If we assume that Moses wrote the book of Genesis (I do not) and assume that he provided us an accurate historical picture of what happened over the numerous centuries that Genesis covers, than yes I suppose the Bible is full of errors. If we insist that everything the Bible says was written from a literal perspective and intended to be understood that way, then I guess there are errors and you should stop reading here. 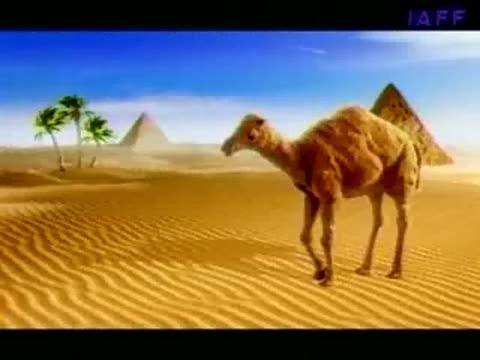 But if we acknowledge that Genesis, indeed much of the Old Testament/Hebrew Bible, was written much later than the events reflected therein, then the appearance of camels is not really a problem. The anachronistic details reflect that Genesis was written and edited at a much later date than the time of any of the people mentioned in Genesis. So, if a person writing/editing Genesis several hundred (or more) years after the events in Genesis includes a detail about camels it’s because in his own day camels were already domesticated and in heavy use. He didn't know that they weren't domesticated in Abraham’s time and thus assumed that they were always used that way. And the city in the North was known as “Dan” for centuries and since he knew no other name what else would he call it? He didn't know his details were incorrect and it’s not clear how he could have researched and confirmed his assumptions. A good modern example of this situation is movies. Although movie directors try to have everything historically accurate, things have a habit of slipping in. For instance, in Back to the Future, Marty McFly plays a Gibson Es-345 guitar at the high school dance. However, that guitar was not yet invented in 1955. In Titanic Jack talks about fishing on Lake Wissota. The problem here is that the lake is man-made and wasn't created until 5 years after the Titanic sank. The point is that in an age that offers much more access to historical knowledge we still get things wrong. It doesn't make the stories in the movies any less compelling. It just means that when we describe the past the results will invariably be tainted by our own time period and anachronistic details will slip in. (See more movie anachronisms here). All in all, I think the phantom camels of Genesis are a tempest in a teapot. The archaeologists have merely confirmed what we already suspected. But it doesn't change anything about what the Bible tells us about the nature of God and the way God deals with humanity. The story of God’s choice of Abraham doesn't depend on whether or not he owned camels or whether he knew the Philistines or had traveled to Dan. The truth of the story is about how Abraham was chosen to be a blessing to all nations, not to camels. For a more responsible approach see the article in Time. As my readers will know, the comedian Sid Caesar passed away last week. Below is a an old routine in which he acts the part of an archaeologist. Enjoy!